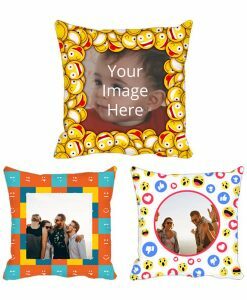 yourPrint.in lets you customize and create your own Photo Printed Cushion & Pillow Covers within seconds on our website and mobile app. You can click photos on the go via your smartphone or upload already clicked photos from your device or social media accounts. Once the order has been placed, our design team gets the order printed on the surface of the Cloth Surface of the Cushion Cover. Once the printing is done and the cushion print has passed the Quality Check test, it is shipped to you. The print on the cushion and pillow cover is permanent - it will never fade off, even when the cushion is washed in water multiple times. 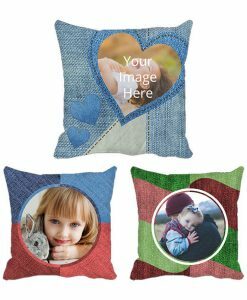 What is a Personalized Photo Printed Cushion? 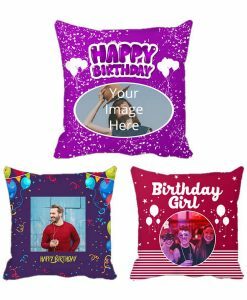 As the name suggests, a personalized cushion is a cushion or pillow case that has been printed with any photo of your choice, making it completely unique and personalized. 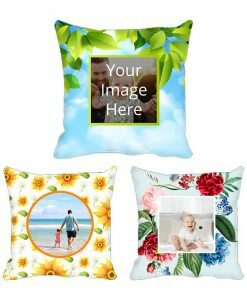 You can print any image of your choice on the cushion, be it your personal image, family image, company logo, image with friends and more. This lets you be the creator of your own furnishing products. 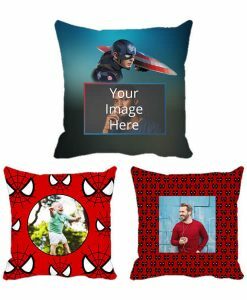 Make your Living Room, Bed Room unique with these cushions which have your pictures printed on them in High Definition. 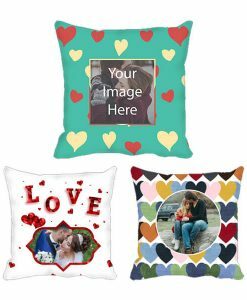 Personalized Cushions with your Pictures - the perfect Gift! 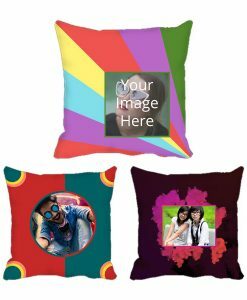 Without doubt, these printed cushion & pillow covers are the best gift that can be given to your dear ones. The cushions are available in various sizes, colors and design patterns which are created by our in-house design team. 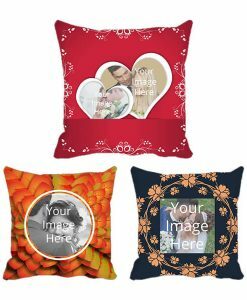 Make your pillow cases and cushions unique by getting your photograph printed on them in High Definition quality. 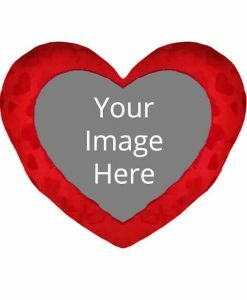 The photograph printed on the cushion's cover will be vibrant and durable to ensure that it never fades off with regular usage. 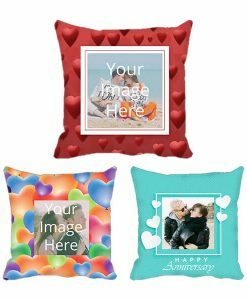 The picture printed cushions are completely washable. 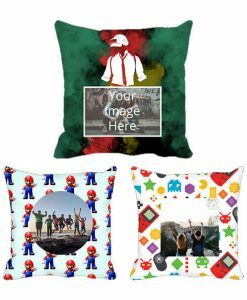 Stand out from the crowd by making your surroundings looks unique with our custom printed cushions and pillow cases. These are printed exactly as per your design and form the best accessory for your home. 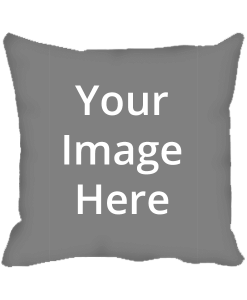 Printed and customized cushions and pillows help you in personalizing your surroundings. We deliver in all cities in India - including Delhi, Mumbai, Pune, Surat, Panipat and more.